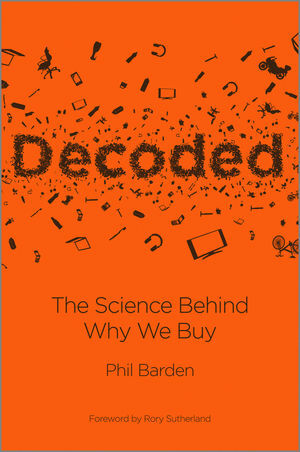 In this groundbreaking book Phil Barden reveals what decision science explains about people’s purchase behaviour, and specifically demonstrates its value to marketing. He shares the latest research on the motivations behind consumers’ choices and what happens in the human brain as buyers make their decisions. He deciphers the ‘secret codes’ of products, services and brands to explain why people buy them. And finally he shows how to apply this knowledge in day to day marketing to great effect by dramatically improving key factors such as relevance, differentiation and credibility. Offers a pragmatic framework and guidelines for day-to-day marketing practice on how to employ this knowledge for more effective brand management - from strategy to implementation and NPD. Packed with case studies, this is a must-read for marketers, advertising professionals, web designers, R&D managers, industrial designers, graphic designers in fact anyone whose role or interest focuses on the ‘why’ behind consumer behaviour. Phil Barden is a proven marketer with over 25 years’ experience, including senior and international roles at high profile companies such as Unilever, Diageo and T-Mobile. Fascinated by the insights from decision science and by the value these can bring to marketing, he has latterly immersed himself in this new field. He is now one of very few experts to combine a practitioner’s perspective with a profound knowledge of decision science, making him very much in demand among clients and conference organisers alike. In this book he bridges the gap between the world of marketing and decision science, taking the reader on his fascinating journey.